THE BIRCHBARK HOUSE by Louise Erdrich (Turtle Mountain Chippewa) (Hyperion, 1999). 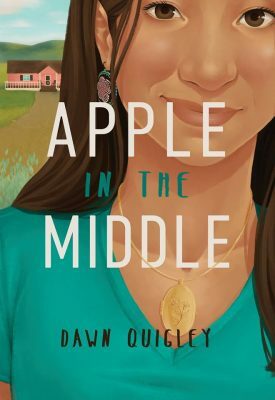 Readers will be engaged by appealing protagonist, Omakayas, educated by this glimpse at Ojibwe daily life, and perhaps inspired to look at history with an eye to different points of view. Ages 8-up. Look for more books in the series. DOVE DREAM by Hendle Rumbaut (Chickasaw) (Houghton Mifflin, 1994). In the summer of 1963, Eleanor “Dove” Derrysaw, age 13, is sent to live with her aunt in Kansas. 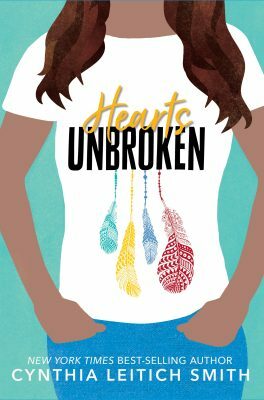 Eleanor comes of age with her first romance, her first job, and a greater appreciation of her Chickasaw heritage while looking to her aunt’s life for inspiration. Ages 8-up. EAGLE SONG by Joseph Bruchac (Abenaki) with pictures by Dan Andreasen (Dial, 1997). Danny Bigtree encounters racism when he moves from the Mohawk reservation to the city. However, Danny is inspired by the Iroquois hero Aionwahta and by his own father to choose peace. Ages 7-up. HOW I BECAME A GHOST by Tim Tingle (Choctaw) (RoadRunner, 2013). A Choctaw boy tells the story of his Nation’s removal from its Mississippi homeland, and how its exodus to Indian Territory led him to become a ghost –one able to help those left behind. Ages 8-up. Compiled from promotional materials. 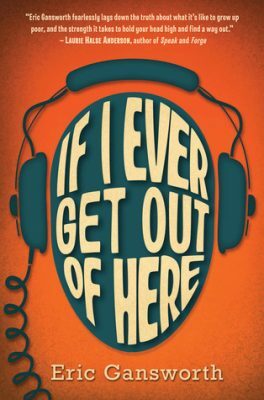 IF I EVER GET OUT OF HERE by Eric Gansworth (Onondaga) (Arthur A. Levine, 2013). Lewis “Shoe” Blake is used to the joys and difficulties of life on the Tuscarora Indian reservation in 1975: the joking, the Fireball games, the snow blowing through his roof. What he’s not used to is white people being nice to him — people like George Haddonfield, whose family recently moved to town with the Air Force. As the boys connect through their mutual passion for music, especially the Beatles, Lewis has to lie more and more to hide the reality of his family’s poverty from George. He also has to deal with the vicious Evan Reininger, who makes Lewis the special target of his wrath. But when everyone else is on Evan’s side, how can he be defeated? And if George finds out the truth about Lewis’s home — will he still be his friend? A wry and powerful novel about friendship, memory, and the joy of rock ‘n’ roll. Ages 12-up. Compiled from promotional materials. 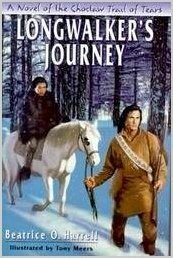 LONGWALKER’S JOURNEY: A NOVEL OF THE CHOCTAW TRAIL OF TEARS by Beatrice O. Harrell (Choctaw) (Dial, 1999). Minko Ushi and his family are part of the Choctaw removal, or Trail of Tears, from their ancestral land to Indian Territory. In this story Minko, his father, and a pony actually travel ahead of the rest and have various adventures along their way. Ages 8-up. MORNING GIRL by Michael Dorris (Modoc) (Hyperion, 1992). It’s 1492, and Morning Girl and her brother Star Boy are two very different children who are about to encounter whites for the first time. Ages 7-up. OWL IN THE CEDAR TREE by Natachee Scott Momaday (Cherokee) and illustrated by Don Perceval (University of Nebraska Press, 1965). 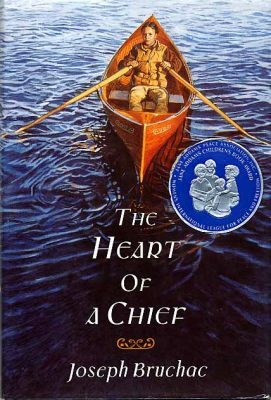 A break-through book featuring Navajo life in the middle of the twentieth century and a boy’s relationship with his changing community and his love for a horse. Ages 7-up. RAIN IS NOT MY INDIAN NAME by Cynthia Leitich Smith (Muscogee (Creek)) (HarperCollins, 2001). Cassidy Rain Berghoff didn’t know that the very night she decided to get a life would be the night that Galen would lose his. It’s been six months since her best friend died, and up until now, Rain has succeeded in shutting herself off from the world. But when controversy arises around her aunt Georgia’s Indian Camp in their mostly white Kansas community, Rain decides to face the world again—at least through the lens of a camera. Ages 10-up. SEES BEHIND TREES by Michael Dorris (Modoc) (Hyperion, 1996). Set in the sixteenth century, Walnut grows into his adult name and learns to cope with his limited vision. Ages 8-up. SKELETON MAN by Joseph Bruchac (Abenaki) (HarperCollins, 2001). Molly’s parents are gone, vanished. She needs to find answers and a way to go on. But Molly has been taught well of her Mohawk traditions. She understands the importance of dreams. She knows to take them seriously. Ages 10-up. WALKING THE CHOCTAW ROAD by Tim Tingle (Choctaw) (Cinto Puntos, 2003).A collection of Choctaw stories (contemporary, historical, and traditional). Features black and white, archival photographs. Ages 12-up.